Play has come to an end on Day Two of the Foxwoods World Poker Finals. There are 69 players remaining and play will resume at noon tomorrow. Full chip counts and Day Three seat assignments will be posted as soon as they are available. 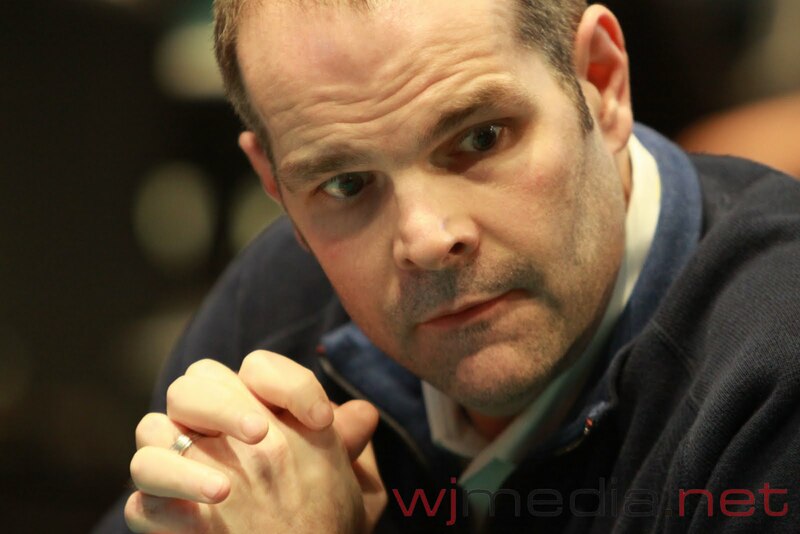 Dan O'Brien has been eliminated late in Day Two action at the World Poker Finals. Each table will play seven more hand and then play will conclude on Day Two. McLean Karr has been eliminated with about 30 minutes left in today's action. On a flop of [Kc][Js][3d], Brian Lemke got all 70,000 of his chips in the middle with Gavin Smith. Lemke turned up [As][Kd] for top pair but Smith showed [3c][3h] for a set. The turn was the [5h] and the river came the [Ts]. 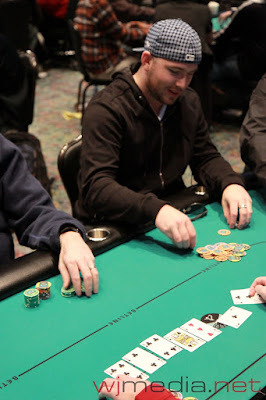 Smith took the pot and eliminated Lemke from the tournament. 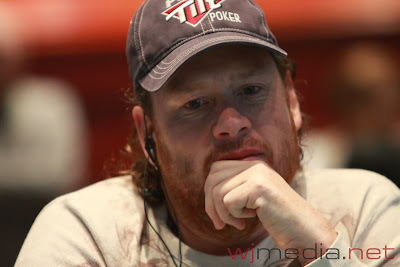 Gavin Smith is now up to around 255,000 chips. Tournament officials have raced off the green 25 chips and the blinds have been increased to 600-1,200 with a 200 ante. This will be the final level of play on Day Two. We are down to the final 88 players in the Foxwoods World Poker Finals. 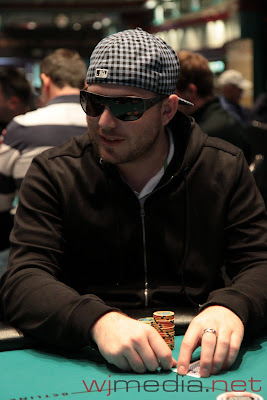 Cajalais maintained his big lead in the hand on a flop of [Ts][9s][3c]. The [8d] on the turn gave his opponent an open ended straight draw. However, the [Jd] fell on the river, pairing his opponent's jack and eliminating Cajalais from the tournament. 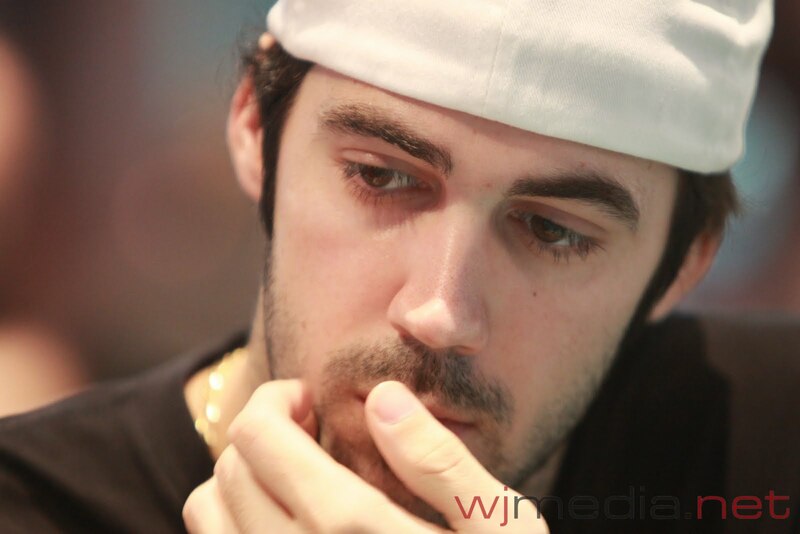 Jay "WhoJedi" Newnum catches up with Jason Mercier and Dan O'Brien during a break at the Foxwoods World Poker Finals. The turn was the [6s], giving Ramdin a straight draw. 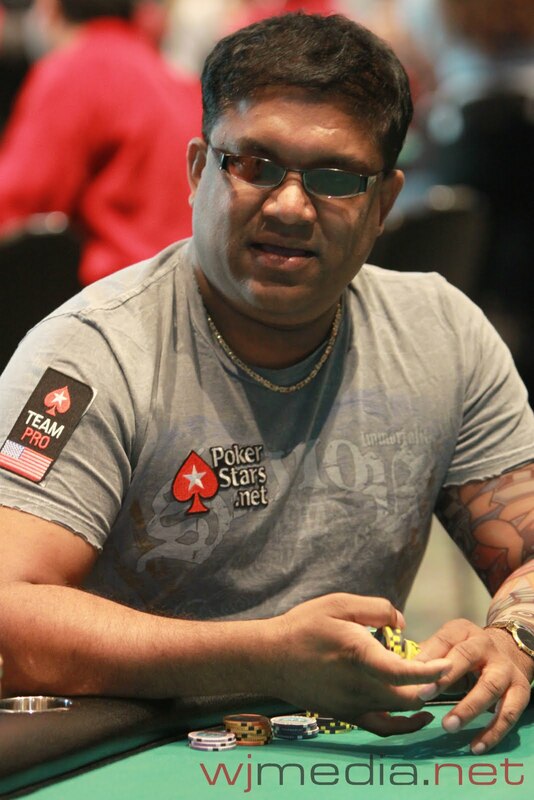 But, the [3d] fell on the river, eliminating Ramdin from the World Poker Finals. McLean Karr Doubles Up with the Steel Wheel! Karr flopped the Steel Wheel and had the hand won already. He doubled up to almost 40,000 in chips! 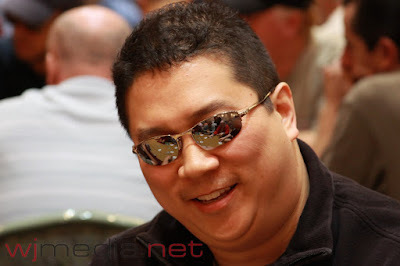 The blinds have been increased to 500-1,000 with a 150 ante. Smith turned two pair and the [4s] on the river did not improve Stout's hand. 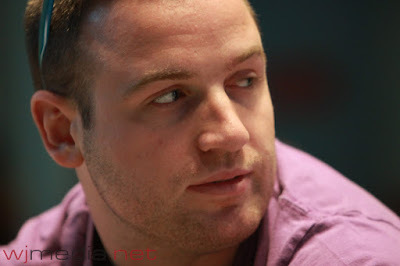 Stout has been eliminated from the tournament and Gavin Smith is up to 170,000 in chips. 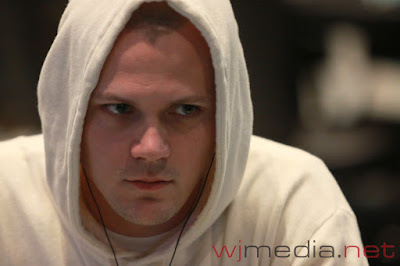 Alex Rocha has been eliminated from Day Two action when his pocket eights failed to hold up against his opponent's A-K.
James "jcamby33" Campbell has been eliminated on Day Two of the Foxwoods World Poker Finals. The live streaming feature table now with Jason Mercier, Darryll Fish, Howard Lederer, McLean Karr, Victor Ramdin and Miami John Cernuto. Just click "Watch LIVE Video" at the top of the page to view the stream. 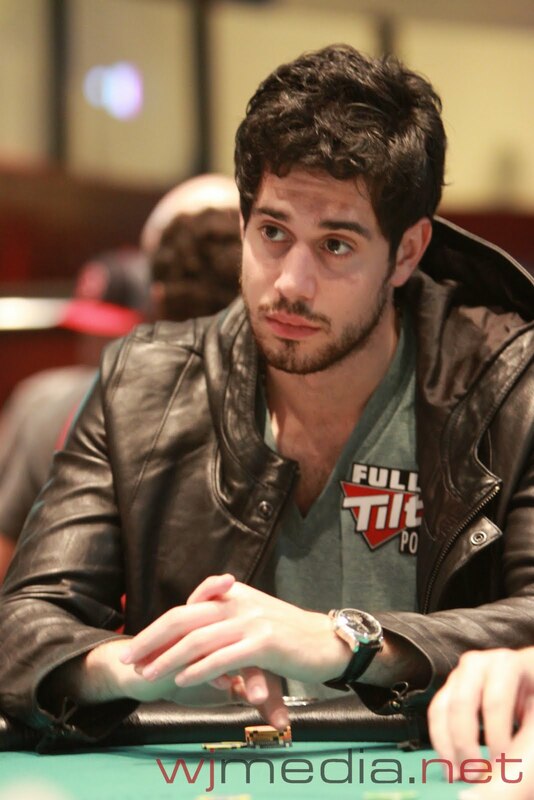 Just before the break, Nick Schulman was involved in a big pot. On a board of [8h][6d][3h][Ts], his opponent bet 10,000 and Schulman made the call. The river was the [6s], pairing the board and his opponent fired 20,000. Schulman thought for a minute and moved all in for about 10,000 more. His opponent called but mucked his hand when Schulman turned up [8d][8s] for a full house. Nick Schulman is now up to around 90,000. 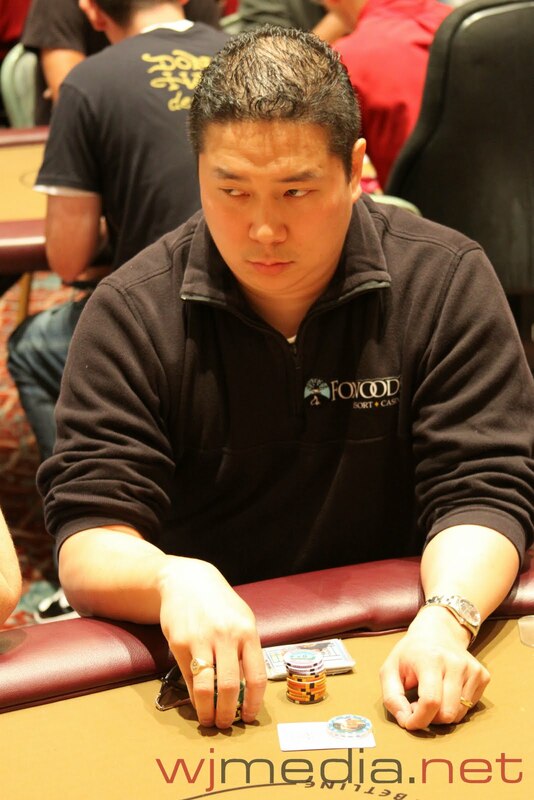 Bernard Lee has been eliminated on Day Two of the World Poker Finals. Despite his elimination today, it has been a fairly profitable 24 hours for the Foxwoods Poker Room Spokesperson. 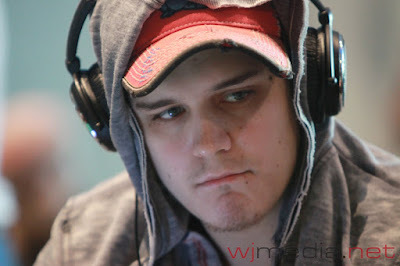 Ben Klier appears to have taken over the chip lead at the Foxwoods World Poker Finals and now sits on over 180,000 in chips. We had a total of 242 players in the $10,000 WPT Main Event at the Foxwoods World Poker Finals. 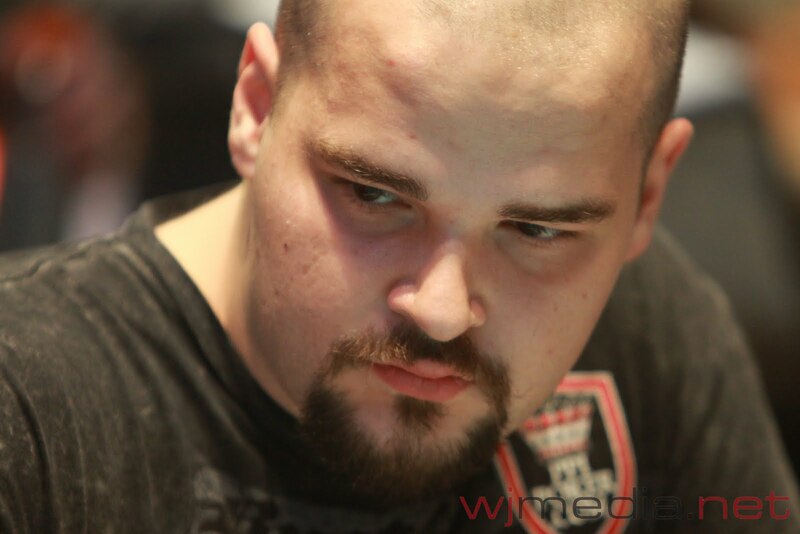 WSOP November Niner John Dolan has been eliminated from the tournament when his pocket fives failed to hold up against Olivier Busquet's A-K when a king hit the flop. Best of luck to John next week as he starts up play again at the World Series of Poker Main Event final table! 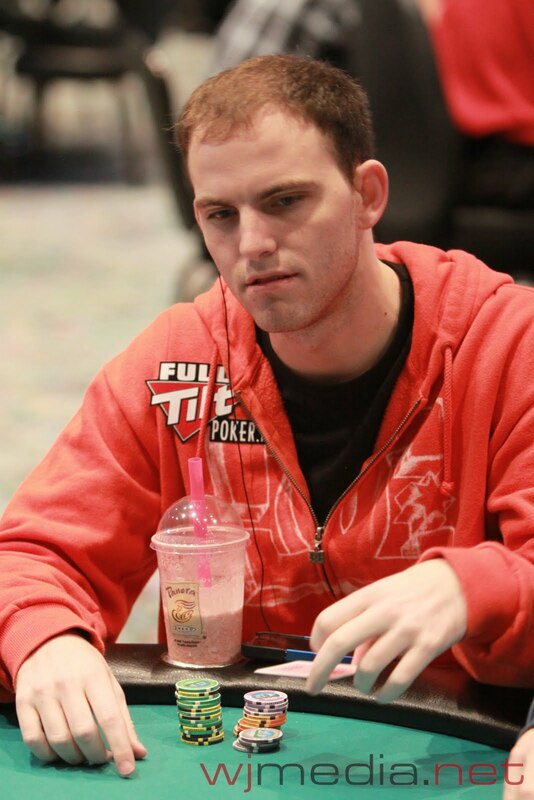 After a two-hour flight delay, Shannon Shorr has taken his seat here at the Foxwoods World Poker Finals. 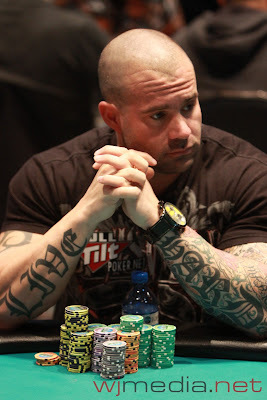 He starts the day with a stack of 23,300 and the blinds still at 300-600 and a 75 ante. Gavin Smith had been slowly increasing his Day Two starting stack of 58,875 throughout the first level of the day. He had taken a nice pot off of Jason Somerville shortly before Somerville returned the favor. Details of the hands are unclear, but the moral of the story is that Somerville managed a big double up at the expense of Smith. Smith now sits on around 40,000 in chips while Somerville is up to around 115,000. Foxwoods Poker Room Spokesperson Bernard Lee has just arrived at the World Poker Finals. 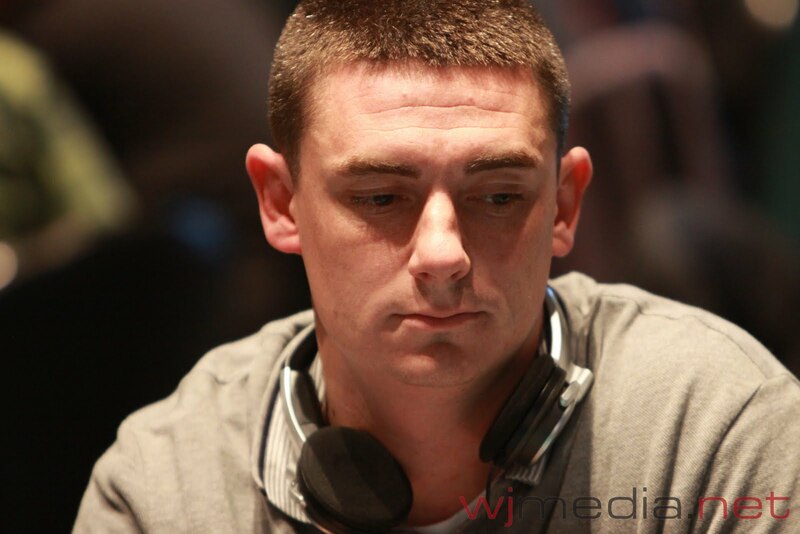 Lee spent most of the night and morning traveling in from Hammond, Indiana, where he finished third in the World Series of Poker Circuit Regional Championship. He took home over $250,000 for his finish. Jess Welman from the World Poker Tour joins Jay "WhoJedi" Newnum as they preview Day Two of the Foxwoods World Poker Tour Finals. Day Two of the Foxwoods World Poker Finals is about to get underway. The blinds will be starting at 200-400 with a 50 ante.